REAL SAGA (AUS) (Bay 2006-Stud 2009). 4 wins at 2, STC Todman S., Gr.2. Sire of 281 rnrs, 158 wnrs, inc. SW Candelara (ATC Adrian Knox S., Gr.3), Real Surreal, Real Good, Sagaronne, Secret Saga, SP Sylpheed, Sagatona, Stroak, Epic Saga, Kirabo, Easy Drama, Choose a Saga and of Real Princess, Realing, Powerful Saga, Saga Miss, Saga of the Storm, A Day to Remember, No Problem, Outback Saga, Hot Saga, Real Mean, You Did What, Bimini Road, etc. Piacenza (f. by Denman). Placed, 2d SAJC Meetings & Events Australia 2YO P., Adelaide Galvanising P., 3d MRC Debutant S., L.
Takarakka (g. by Show a Heart). 2 wins at 1400m, 1600m to 2017-18 in Aust. Pasaga (g. by Real Saga). See below. Pachanga (Redoute's Choice). Winner. See above. Low Places. 3 wins at 2000m, 2200m, A$102,125, ATC TAB.com.au H., 2d ATC More Than Ready at Vinery H., Cellarbrations H., 3d ATC Hyland Race Colours H.
ANY RHYTHM (Western Symphony). 6 wins to 1400m, A$226,900, VATC Sandown S., Gr.3, Beau Gem H., VRC Maggi Coles H., 2d SAJC Goodwood H., Gr.1, VATC Japan Racing Association S., L, Bounding Away H., L, Red Terror H., 3d VATC Kenvain H., Gardenvale 2YO H., Samuel Griffiths H., 4th VATC Blue Diamond Preview, Gr.3. Foxtrot (Rory's Jester). 2 wins. See above. UPBEAT (Strategic). 6 wins-1 at 2-from 1250m to 1850m, A$345,275, MRC Autumn Classic, Gr.2, ATC Ranvet H., 2d MVRC Echuca Workers & Services Club 2YO H., 3d MVRC Styleread.com.au Inglis Bonus 3YO H., Dominant H.
VOLCANIC ASH - VOLCANIC GENERAL (Mal.) (Magnus). 7 wins to 1400m, A$273,150, 367,375Rgt., to 2017 in Aust. and Malaysia, Penang Sprint Trophy, L, Selangor TC Tunku Gold Cup, L, MRC Greg Williams H., Mypunter.com Join Today H., Swettenham Stud H., 2d Selangor Gold Cup, L, Perak Gold Vase, L, MVRC William Hill H., SAJC Robbie Shop H., Sale TC Eastcoast Plumbing Group Bairnsdale H.
ALPHA BEAT (Magnus). 4 wins at 1200m, 1600m, A$206,400, SAJC Adelaide Guineas, L, ATC Cellarbrations H., MRC Glam Beauty South Yarra P., 3d MRC Autumn Classic, Gr.2, BRC Jockey Celebration Day H., ATC AB Banjo Paterson H.
SINGAPORE SLING (Starcraft). 5 wins-1 at 2-from 1200m to 1600m, NZ$76,025, ARC Soliloquy S., L, BOP RC Wilson Plumbing, Heating & Gas H., ARC Swiss Deli H., Waikato RC Technical Welding Services H.
Bombay Sling (Danzero). 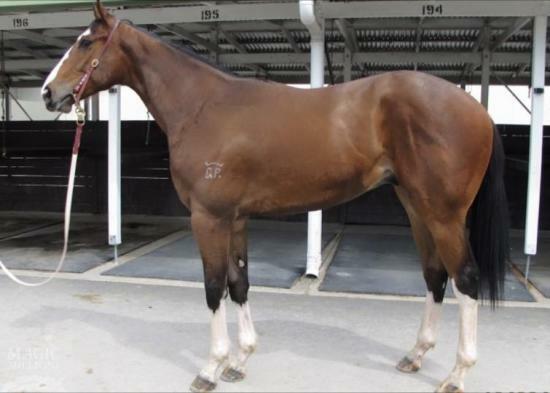 4 wins-1 at 2-at 1200m, 1600m, A$212,675, S$111,204 in Aust. and Singapore, TTC Shaw Magic Millions 2YO Classic, SAJC Fred Worthley Memorial H., 2d VRC Sires' Produce S., Gr.2, TTC Gold Sovereign S., L, MVRC Hoyts Foods H., 3d STC Run to the Rose H., Gr.3, MRC Blue Diamond Preview (c&g), L, Victoria Owners & Breeders Awards H., 4th MRC Blue Diamond Prelude (c&g), Gr.3. SACRED RHYTHM (Pentire). 2 wins at 1200m, 1800m in 2016-17, Taranaki RC Oaks Prelude, L.
HUMMA (Iglesia). 10 wins from 1400m to 2200m, A$514,730, BRC Chairman's H., Gr.3, Toowoomba Cup, L, BRC TIS H., Andonov Design H., BTC 199value.com.au P., Alf Said the Good Guys H., STC Maurice Blackburn H., Tooheys New H., 2d BRC Brisbane H., L, Qld Tatt's RC Recognition S., L, 3d QTC Members' H., L, 4th BTC Lord Mayor's Cup, Gr.3. Race Record: 1 Starts 0-0-1 A$1,890. Placed at 2 in 2016-17 in Aust.